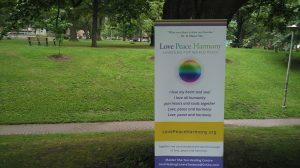 During the summer, the ZEST team of Zakota, Eun Ji, Steve and Tatyana created a Love Peace Harmony Group that engaged park visitors in a fluid way and encouraged them to express themselves. The participants of their Song Circle were introduced to the Divine Soul Song Love, Peace and Harmony, Soul Song, events at Master Sha Tao Centre in Toronto, and more. Coming together in oneness they created a vibrational field to uplift themselves, the participants, humanity and Mother Earth. 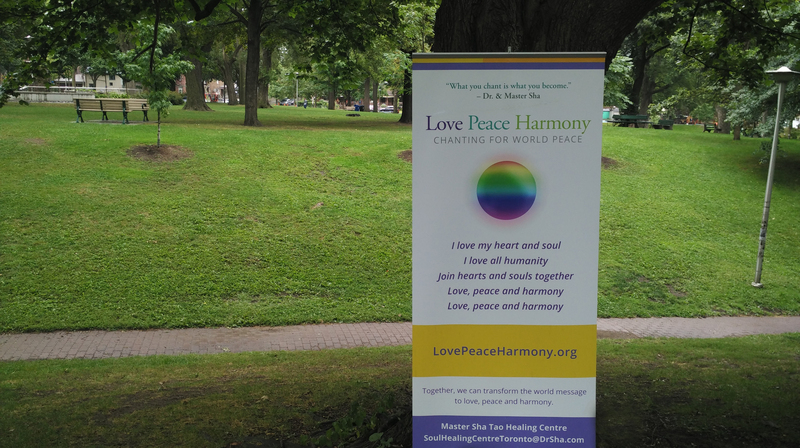 They gathered together every Thursday to join hearts and souls together to bring love, peace and harmony through song at Dufferin Grove Park. The format was one part free flowing circle jam, one part community medicine song circle, and one part teaching of sacred soul songs from the Love Peace Harmony Tribe. BEING Love Peace Harmony was most effective. Whether their engagement was eye contact with passersby or participation in the circle with them—everyone was beaming with smiles at their interactions.